How about giving back to a Cleveland non-profit? 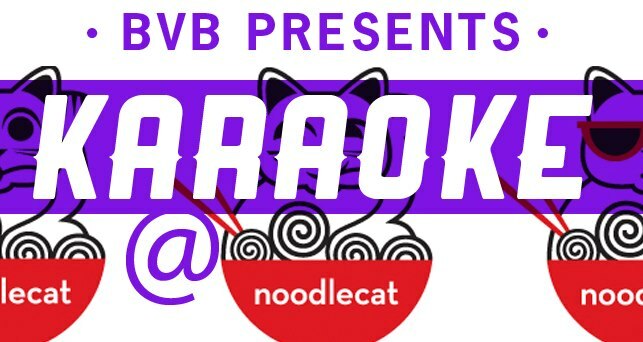 If you answered yes to either of these questions, you should make plans for this Friday (the 17th) when I’ll be hosting Karaoke at Noodlecat, benefitting BvBCLE! My fellow Blonde teammates and coaches, as well as Team Brunette will be at The Cat, putting our pipes to the test to raise money for our upcoming flag football game. BvBCLE – aka Blondes vs. Brunettes powder puff football – raises money for the Alzheimer’s Association in Cleveland. The game is just one way that we raise money for the Association. You can also donate online to BvBCLE! This entry was posted in Uncategorized and tagged BVBCLE, CLE Events, Downtown C-Town, Giving Back, NoodleCat, The CLE. Bookmark the permalink.